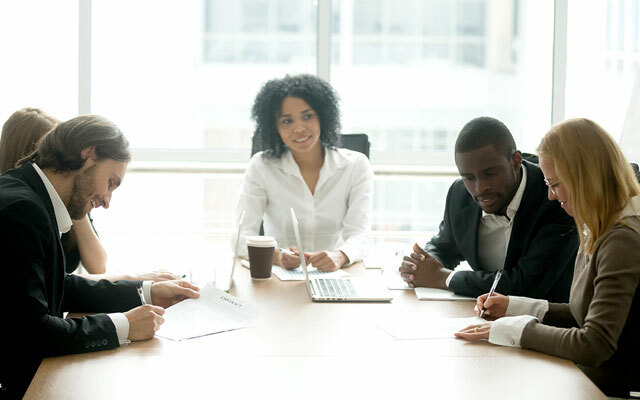 Many Canadian organizations employers may have good intentions, but their diversity and inclusion strategies, investments and actions are not always aligned, according to a Conference Board of Canada report. While organizations indicated an intent to focus on inclusion efforts, the behaviours that go along with these intentions — such as providing development opportunities for members of diverse groups — were viewed as low priorities, found Measuring Up: Benchmarking Diversity and Inclusion in Canadian Organizations. "Many Canadian organizations have woken up to the reality that a diverse and inclusive workforce is a competitive advantage. However, they are struggling with putting those intentions into practice in a systematic and disciplined way," said Jane Cooper, senior research associate at the Conference Board of Canada. While the language has moved from "diversity" to "diversity and inclusion," there are many differing views about what these concepts actually mean on the ground — many respondents were neutral on whether their organization is diverse (31 per cent) or inclusive (39 per cent). "There is still a lot of confusion about what diversity and inclusion mean practically, and how you get there. Many organizations are not sure if they can even describe their workplaces as diverse or inclusive. If you can't define or evaluate what good means in your context, there is no way you can tell if the initiatives you invest in are working as intended — or not. These are empirical questions that demand an empirical approach. Good intentions are simply not enough," said Sarah Reid, director of inclusion at the Conference Board of Canada. One-third of the employers said they have no special strategies to recruit a more diverse workforce. And one-third said they do not measure the results of their diversity and inclusion efforts, found the survey of 228 senior HR and diversity and inclusion professionals.